Funding is available to cover travel and expenses for successful applications from Early Career Researchers in the UK and Brazil (i.e. individuals who received their PhDs in the last 10 years or ECRs who have research experience equivalent to a PhD). Non-ECRs and non-UK researchers are also welcome to apply but expenses will not be covered. The workshop will take place in Sao Paulo, Brazil from 23-25 April 2018. 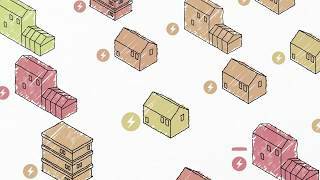 An overview of the End Use Energy Demand Centres (EUED) Centres.